In honor of the iconic Corvette’s 65th anniversary, Chevrolet has introduced a brand-new, special-edition version of the legendary sports car. 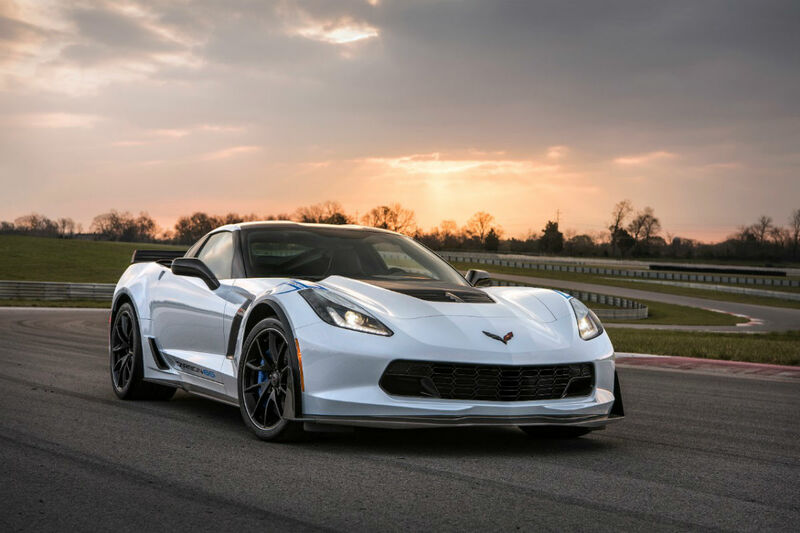 Any shopper who opts for the Grand Sport 3LT or Z06 3LZ trim levels of the 2018 Chevrolet Corvette will be able to purchase a Carbon 65 edition, but act quickly as the unique vehicle will only have 650 models built. As you can probably wager from its name, the Carbon 65 edition utilizes a design style that blends the carbon-fiber elements of the exterior with its new Ceramic Matrix Gray color option. These exterior design cues include the rear spoiler and quarter ducts, both of which are indeed now made of carbon fiber. On the inside, new interior appointments are throw into the mix like a carbon-fiber-rimmed steering wheel. To opt for the Carbon 65 model, it’s actually a package that you can add to the vehicle, which adds an assortment of great specs & features to the 2018 Corvette in question on top of the design cues above. These new features include plenty of other unique design cues like fender stripes and door graphics or a Carbon logo on the center cap to interior features like a suede-wrapped interior and competition sport seating. We’re looking forward to seeing these 2018 Chevy Corvette Carbon 65 Edition models cruising around Miami, and we might be able to help you find one yourself if you’d like to give us a call. This entry was posted on Friday, September 8th, 2017 at 2:09 pm	and is filed under Chevrolet. You can follow any responses to this entry through the RSS 2.0 feed. You can skip to the end and leave a response. Pinging is currently not allowed.